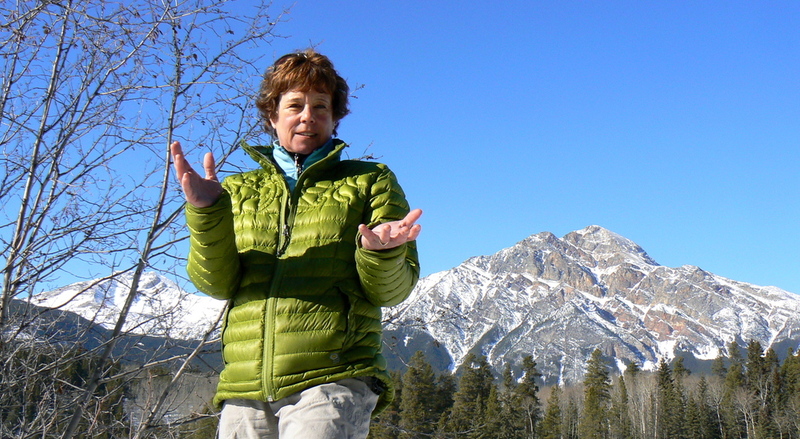 Join Paula Beauchamp, owner of Walks and Talks Jasper a passionate lifetime Jasper resident. Why not explore Jasper National Park with a professional level qualified guide who is all about Jasper's awesome nature. Paula spent 12 years with Parks Canada as an Interpretive Guide and an Information attendant at Jasper's Info Center The knowledge she gained and the experiences from this employment provided the background for the programs she has developed. Paula has spent most of her life in Jasper, so she adds a passionate understanding and appreciation of Jasper. Her formal training includes being a Registered Nurse, qualified first Aid , Interpretive workshops and participating in a group management course. As extensive as her formal training is, it is the experiences of a lifetime living right in Jasper National Park that set her and Walks and Talks Jasper apart from the rest.